Melanged Magic: What Is It? 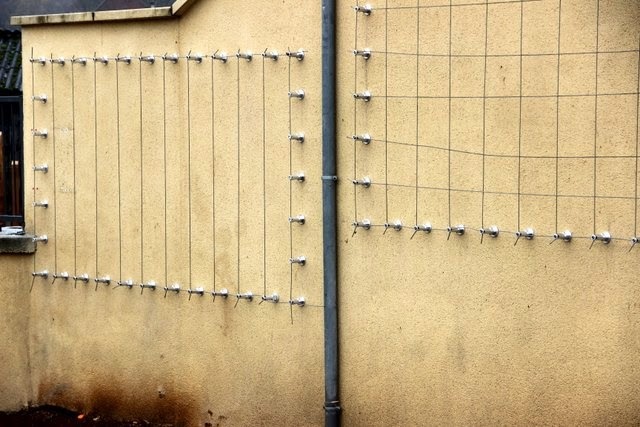 I have to admit I was puzzled when two boxes outlined in metal pegs driven into the wall of the Mairie appeared. 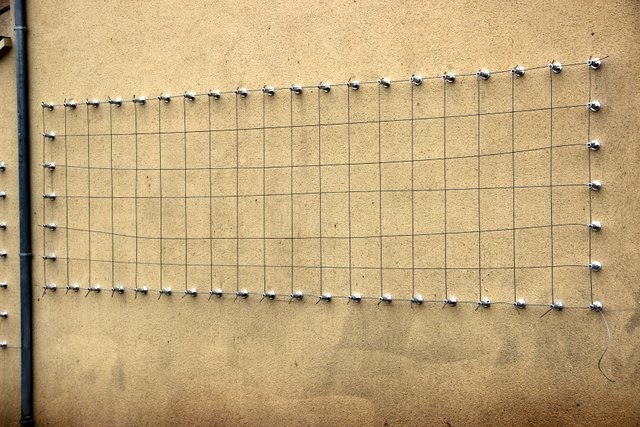 Even as I watched one of the workmen stretch wire between the pegs creating a grid, I wasn't able to figure it out. I finally asked Christiane what the heck it was. 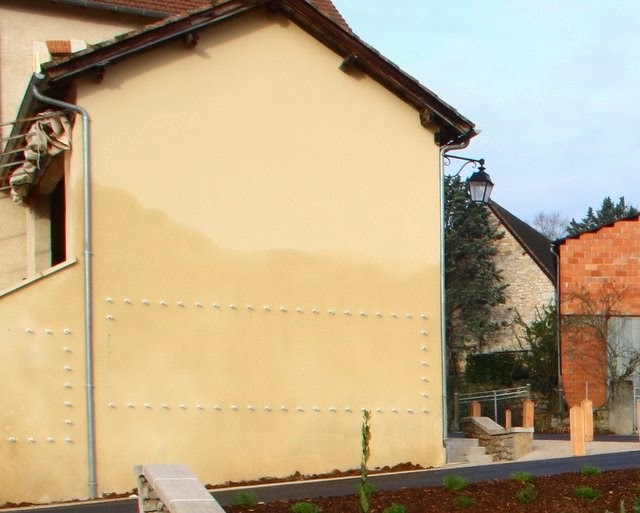 The answer: it's a heavy-duty trellis to hold and allow climbing plants to adorn the blank side of the Mairie! I can hardly wait to see what they plant here...maybe climbing roses? wisteria? clematis? Should be beautiful when it all fills in. Pretty cool idea, huh?